Rediscovering U is the first university-styled program for women approaching, experiencing and moving forward from divorce. Wherever women find themselves in the divorce process, Rediscovering U offers the opportunity to attend local classes, while providing online education, resources and support. These empowering local classes allow women to meet face to face, share their stories and learn from top experts in the area within a safe, informal atmosphere. Our enriching, ever-expanding online resources offer information and insights to the journey of divorce. The Rediscovering U community serves as a powerful reminder to each woman that she is not alone. Whether in person or online, Rediscovering U offers education for your journey, techniques for walking patiently through difficult times and support in reconnecting with what once inspired you, allowing you to find a new vision for your future and move forward in confidence. Rediscovering U also offers sponsorship opportunities for businesses [link to sponsorship page] interested in providing resources and support for the extraordinary women we serve. 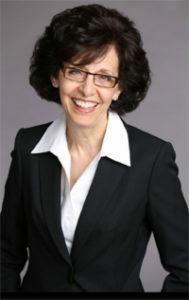 Rediscovering U was founded by Barb Greenberg, a divorce transition expert who excels in educating, empowering and inspiring women to move through divorce and into a new life. After reeling from her own divorce, Barb created a compassionate approach to provide education and guidance to help women thrive. She is living proof that there is hope in the most difficult of situations and they often serves as opportunities to reclaim your life. Barb has written two books: “Hope Grew Round Me” and “After the Ball: A Woman’s Tale of Reclaiming Happily Ever After.” She is also a sought-after speaker on hope, change and finding the sweetness in difficult life transitions. In-person classes and events allow women to meet face to face, share their stories, as well as share laughter and sometimes a few tears, and learn from top experts, all in a safe, informal atmosphere. 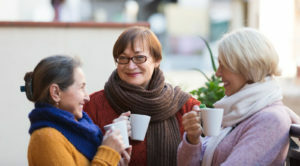 On-line Membership is a secure community offering 24/7 educational and inspirational videos, access to top professionals, ability to connect with other women for support, and even some special discounts! Download our membership brochure to learn more about our community. Download our sponsor brochure to learn more about the options and benefits available to you as a valued Rediscovering U sponsor.